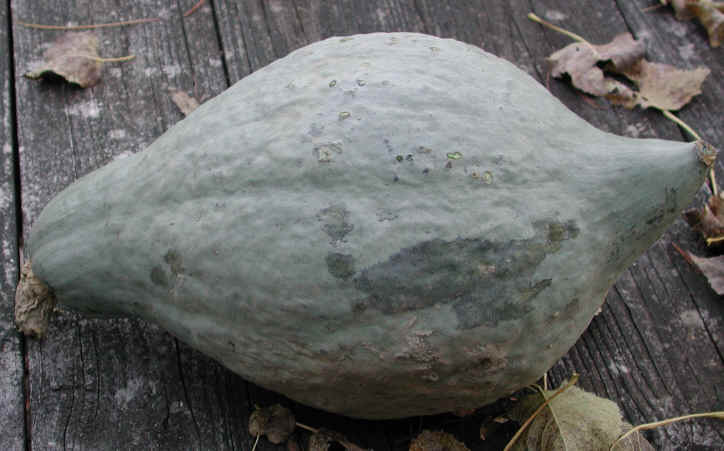 The rocky, light brown, clay-ey soil where Mother and Dad gardened in wonderful Wayne County must have just what it takes to grow fine winter squashes. I grew up loving the sweet autumn taste and comforting feel of baked acorn and butternut squash. Once I left the family garden and moved to the city, the first acorn squash I bought at a grocery store stunned me. I could not rescue the tasteless, pale, stringy flesh with any amount of cinnamon, butter, or maple syrup. The problem with the city squashes may have been poor soil, early picking, or both. Apparently winter squashes vary considerably in taste and quality depending on the soil and situation that nourish them. More on that below. This fall, excited about discovering Elmwood Stock Farm'sButtercup Kabocha, I have talked a lot of squash with my kind and dashing younger brother. He called this week to tell me about Pumpkin Pie Popsicles, which sound fantastic. I found an online recipe that uses the maple syrup, cream and spices he described. As our talks continue, I have been working up my courage to buy and try a Hubbard squash. Why courage? Notice how the Hubbard in the photo above left has kind of a dominating attitude toward the smaller members of the family? Or see here just how menacing a Hubbard can look. Plus the things are so hard, and there's so much of them (up to 50 pounds, and maybe more), that I have never thought I could win if I brought one into my kitchen and approached it with a knife. I learned recently, though, that Hubbards are incredibly long keepers, and I'm interested in all the ways to keep eating local foods deep into Kentucky's winter. A recent article by Janet Fletcher in the San Francisco Chronicle positively inspired me about Hubbards and all their hard wintery relatives. This article is so rich, thorough and interesting, and has such good recipes, that I recommend you go there and read it all the way through. As promised earlier, you will learn more about squash and terroir, the ways squash sugars respond to soil, sun, temperature, minerals, elevation, water and other qualities of the place that nurtures the plants. The article may nudge you to sharpen your big axe. Apparently that's what it takes to tame a Hubbard. Wet. Cold. Abundant. Lexington Farmers Market in Winter.